This is the first-ever meeting between these two teams and the hosts will be desperate to grab a win in this game. A 3-8 record looks bad at any times but when you go on a run of four losses out of five games, it is understandable that morale is going to be at a low ebb. The Spaniards travel with a 7-4 record and they’ll see this as an opportunity to improve their status this season in the Euroleague. While the hosts have been struggling, they can call on the top scorer in the entire Euroleague. Keith Langford has been in sparkling form and an average of 23.4 points per game suggests that he is doing virtually everything right at the moment. There is a need for Langford’s team-mates to stand up and help him out in an attempt to improve the record of the team. After Langford, the best records belong to Artsiom Parakhousi, who has grabbed an average of 11.5 points per game and Quino Colom has picked up an average of 8.9 points per game. The hosts have given up an average of 83.5 points per game so far this season. The away team has meanwhile given up an average of 77 points per game, so this is an area where the away team has an advantage. Baskonia may not have a scorer with the prowess of Langford so far this season but they have a number of players who have chipped in convincingly. Shane Larkin has offered an average of 13.5 points per game, Andrea Bargnani has provided an average of 12.6 points per game, Rodrigue Beaubois has offered an average of 12.1 points per game and Tornike Shengelia has notched an average of 10.1 points per game. Both of these teams will believe they have a chance of winning the game and the bookies tip the hosts as favourites. 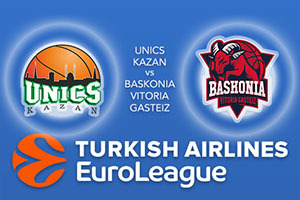 Think about taking Baskonia Vitoria Gasteiz at +2.5 at odds of 1.95. If you are looking for the Over/Under market, go OVER 159.5 which is provided at odds of 1.90.